Stefania L. Bartlett is Counsel in Cummings & Lockwood's Private Clients Group and is based in the Stamford office. Stefania represents individuals and families in developing comprehensive estate plans, and advises clients on tax and charitable planning. She has experience with estate settlement and trust administration, and represents both beneficiaries and fiduciaries. Stefania represents charitable entities, assisting with their formation, obtaining and maintaining tax-exempt status, and providing advice on administration with respect to grant making, investments and other charitable activities. She also assists individuals in creating charitable giving plans, including advising on gift agreements and split interest trusts. 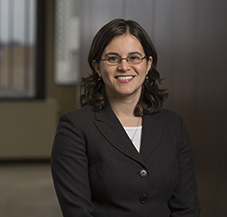 Stefania is member of the Firm’s National Charitable Planning Group.